Now hiring Delivery Drivers at our Indianapolis location! Skip the hassle of dealing with another human…place your order online for pickup or delivery directly from your computer, tablet, or smartphone! Not in the mood to leave the house? We deliver! Or if you’re already out and about, stop by and join us for a bite to eat or carry out and take it home! No order is too large! We cater to groups of any size for any occasion. From corporate events to social gatherings, we’ve got you covered. 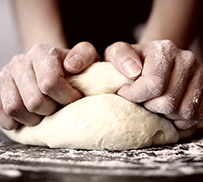 We make all of our dough from scratch daily using 100% olive oil. Never frozen. No rollers, sheeters, or presses. Just two hands and a lot of love. 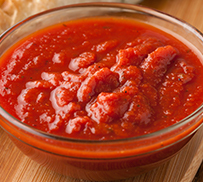 Our signature pizza sauce and marinara sauce are made from scratch in-house with U.S. grown tomatoes (not from concentrate). The perfect pie starts with the right ingredients. 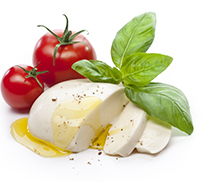 From fresh-cut produce to a variety of meats, we use only the best ingredients for our pizzas. 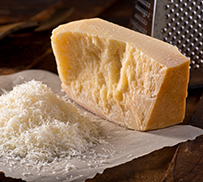 We use only the finest cheeses available, delivering a noticeable difference in quality and taste compared to the other guys.